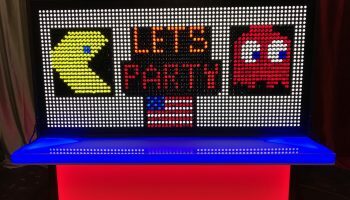 Available now is our new Giant Lite Brite Game Rental available for all of San Francisco, Bay Area, and Northern California. 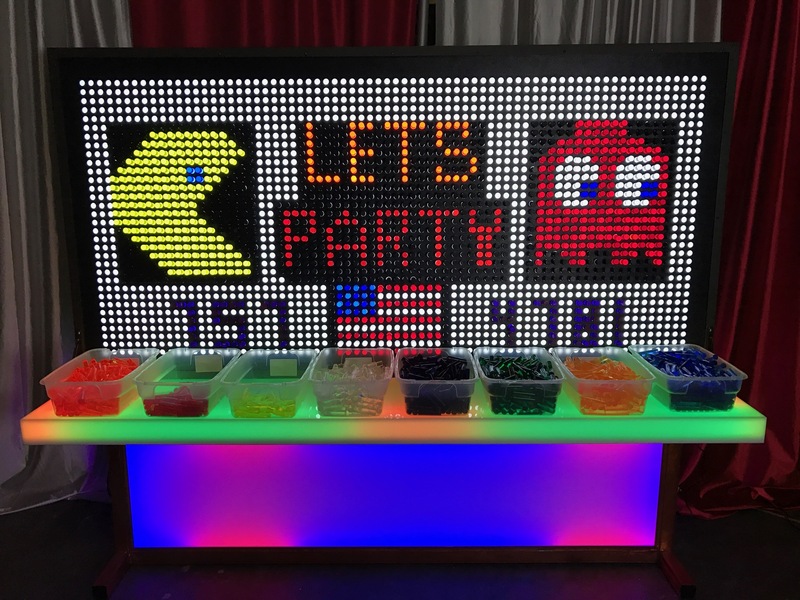 This popular Giant Lite Brite Game Rental is a perfect addition for any trade show, Company Event or your next wedding. 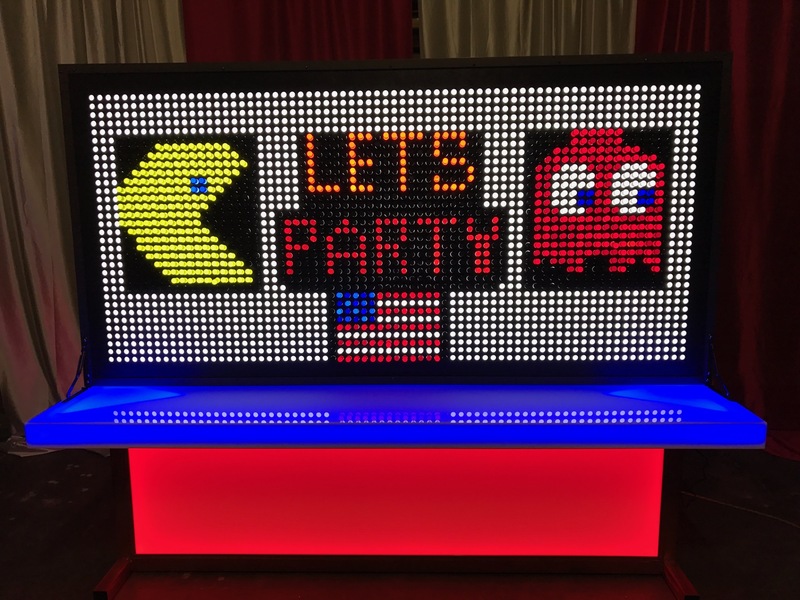 Let your guests create there own design on this Giant Lite Brite Game Rental or let us design something special to get your message across to your clients. 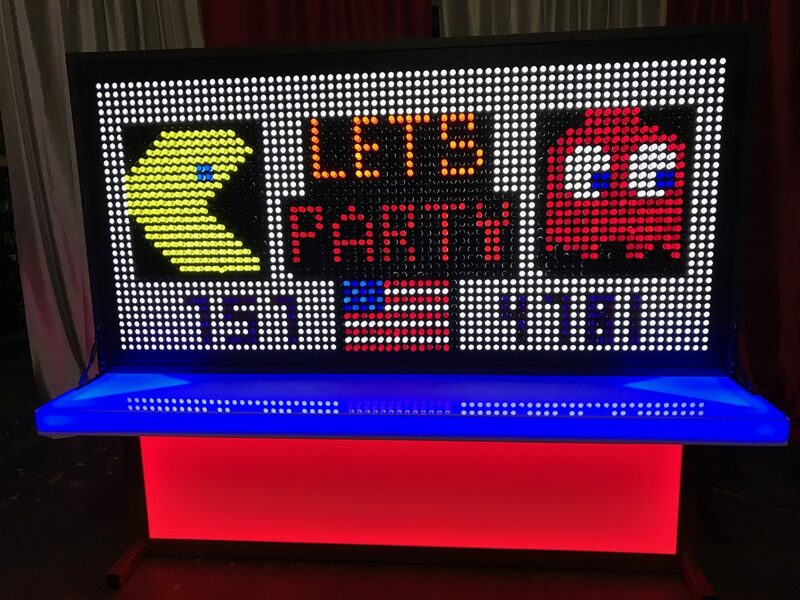 This comes with 8 different colored pegs and this measures at 4 foot high and 8 feet long and fits on a 8 foot table (supplied by us) and a nice table cover to impress your guests. 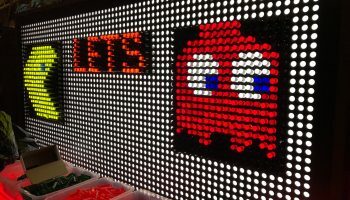 Giant Lite Brite Game Rental is a spinoff of the classic Hasbro 1967 creation. 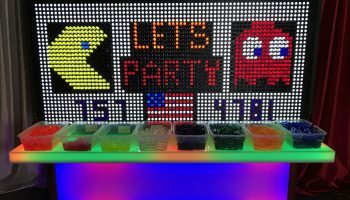 Our Giant Lite Brite Game Rental allows the artist to create a glowing picture by placing giant multi-colored translucent pegs. Watch This Amazing Video To See What We Have To Offer. 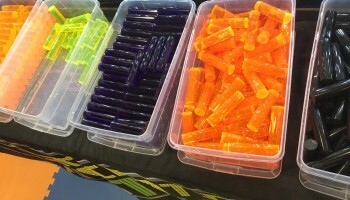 When lit, the pegs have an appearance similar to that of LEDs. 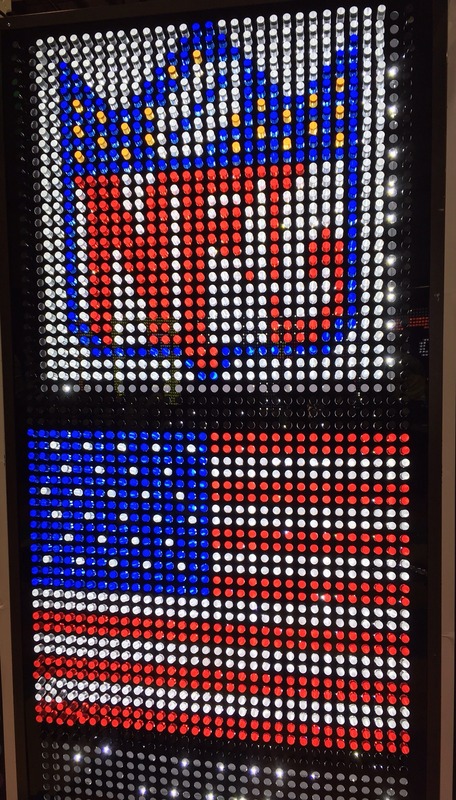 Let this welcome your guests as they walk by your trade show booth and watch their heads turn looking at how great you represented your message. 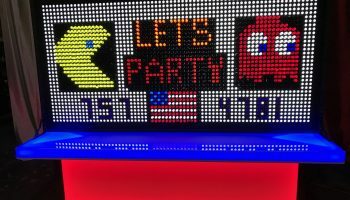 This is a perfect game rental to keep your employees fresh with new ideas as they play and leave each other special messages. 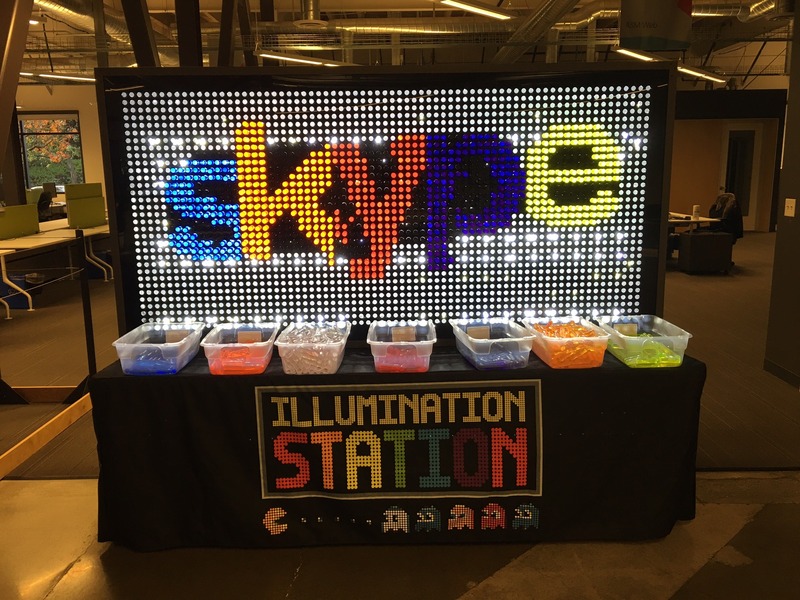 Look at our images and you will see what we have done for some of our clients and let this be the next fun creative thing at your party perfect for any Christmas holiday party. 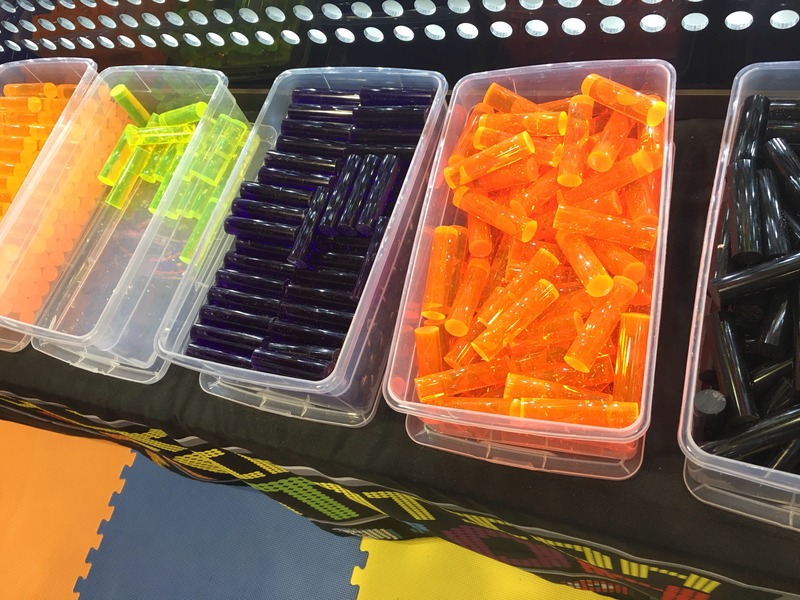 We can provide staffing to help anybody get started with making a design. 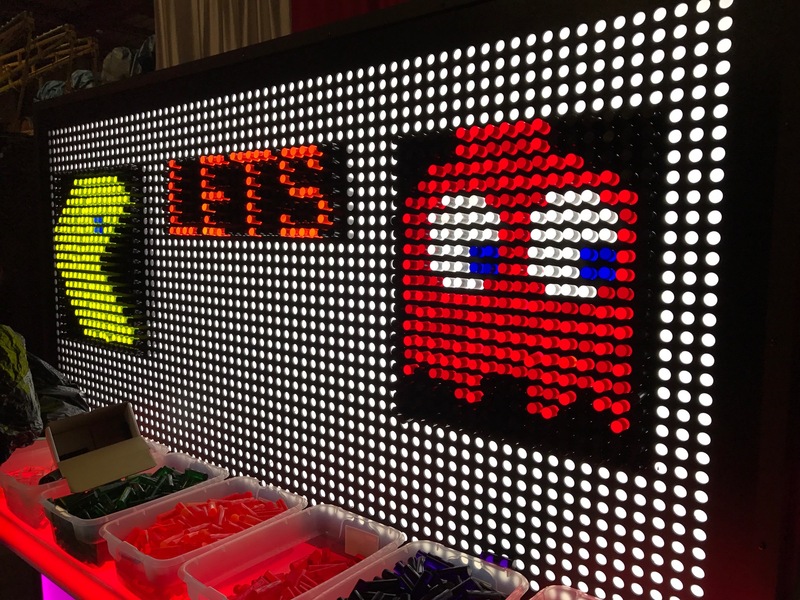 We deliver our Giant Lite Brite Game Rental to your business or event anywhere in the San Francisco, East Bay, San Jose, Santa Clara, Santa Cruz, and Monterey Bay Area. 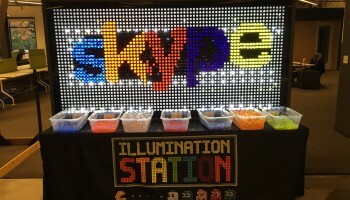 We can also deliver this to your next trade show booth that your having in Northern California. Call our office today to schedule an appointment if you would like to see it in action. 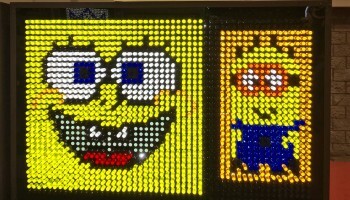 We Now Have Added This Amazing Custom Made LED Table To Make This Product Really Stand Out. 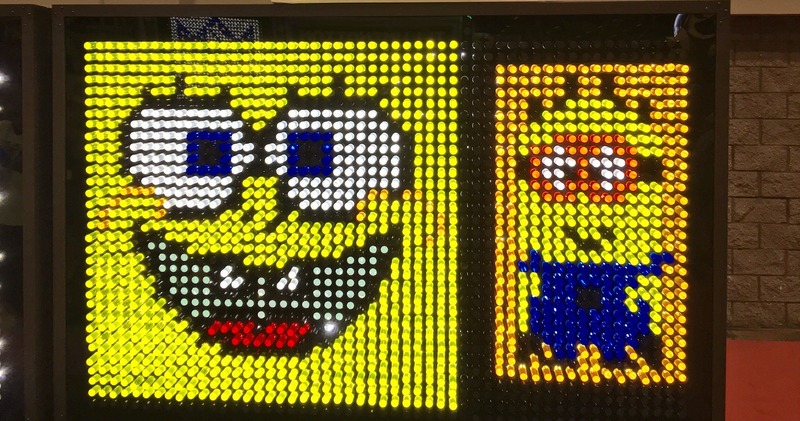 The LED Table Is An Added Feature Please Call For Info. Space Requirements: 8 feet in length x 4 feet wide x 2 feet wide. 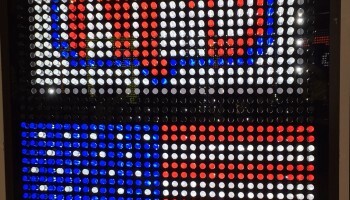 Price: Please call our office for a custom quote.